A seminal collection of work from this legendary Philly group – a set that brings together some of their best singles from the early days – all in a hip 70s package! 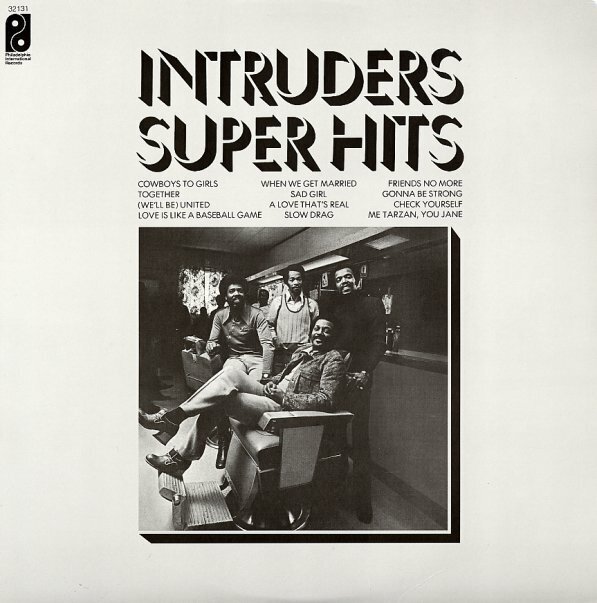 Despite mid 70s issue of the album, most of the work here come from the group's late 60s start – and they represent a new step forward in harmony soul from the Philly scene – a way of putting over a tune that set the stage for countless other sweet soul groups to come, but which is still handled best by The Intruders! Gamble & Huff produced these early gems, and arrangements are by Bobby Martin and Joe Renzetti – both of whom really know how to mix the mellow with the mighty. Titles include "Cowboys To Girls", "Sad Girl", "Me Tarzan, You Jane", "Love Is Like A Baseball Game", "Slow Drag", "Together", "(We'll Be) United", 'When We Get Married", "Sad Girl", "A Love That's Real", "Friends No More", "Gonna Be Strong", and "Check Yourself". © 1996-2019, Dusty Groove, Inc.